particular places the main focus on the trials and tribulations of Melanie Morris; her best friend Isobel Peters; or “Izzie”; and their mutual friend Corey O’Neal. While these are all characters we have “met” before, the author doesn’t assume you know any back story. Melanie is embarrassed of her alcoholic father, Izzie is not as slender as is considered socially acceptable, and Corey is struggling with a relationship with member of a very popular boy band, meaning that he not only has to deal with the usual harassment over being gay, but the relentless pursuit of the paparazzi as well. But if all this sounds like the book is dark and depressing, it is in fact just the opposite. 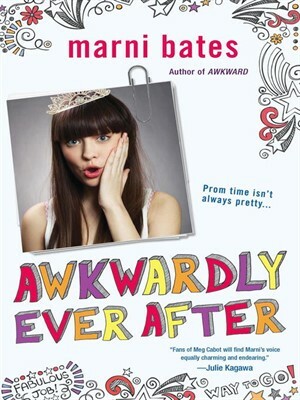 Not only does Marni Bates load her books with laugh-out-loud humor, but the good guys always come out on top.